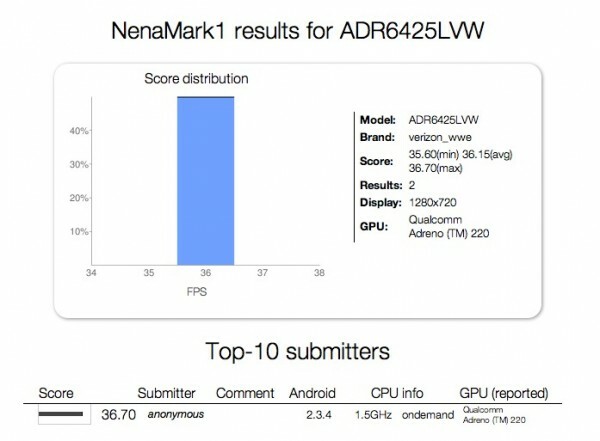 HTC Vigor Benchmark Spotted, Headed to Verizon with 1.5GHz Dual-core Processor and 720p HD Display? Pardon me while I pick my jaw up off the floor to attempt to write this post. What you are looking at, is a (unconfirmed) benchmark for the HTC Vigor that could be headed to Verizon. 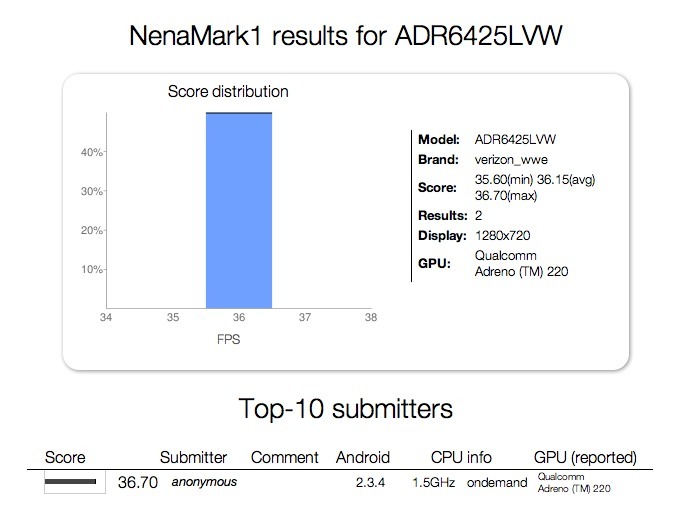 If what we are seeing is to be believed, the device (ADR6425LVW) will run Qualcomm’s new 1.5GHz Snapdragon dual-core processor that includes the brand new Adreno 220 GPU – a processor and GPU set that at least on paper, might be one of the most impressive we’ve ever seen. It gets better though. Check out the display resolution of 1280×720…yep, 720p HD resolution right there. It’s also running Android 2.3.4 at this time, but with a resolution like that, we’re thinking Ice Cream Sandwich would be a likely candidate come launch; especially if rumors of on-screen home/search/back buttons are to be believed.